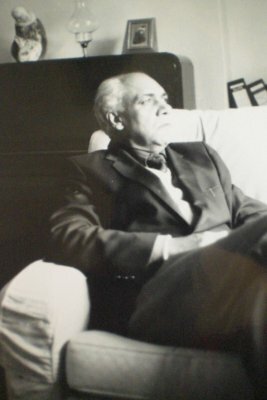 SpiritualHuman blog is dedicated to the work and vision of Professor Syed Hasan Askari (1932-2008) who figures as one of the eight important Muslim thinkers in Kenneth Cragg’s The Pen and the Faith and is also acknowledged in the West as an uncompromising advocate for inter-religious spirituality. The blog was created and is maintained by Musa Askari. Professor Askari has lectured and taught at several universities in India, Lebanon, Germany, Holland, Britain and the United States. Hasan Askari has been one of the Muslim respondents to the Christian initiative to Dialogue and figures extensively in the study, “Striving Together in the Way of God: Muslim Participation in Christian-Muslim Dialogue”(1987) by Dr Charles A Kimball. Hasan Askari’s works include The Experience of Religious Diversity – co edited with Professor John Hick, Spiritual Quest – An Inter Religious Dimension and Towards a Spiritual Humanism – A Muslim Humanist Dialogue (with Jon Avery), Alone to Alone : From Awareness to Vision, Seers & Sages (co-edited with David Bowen), Solomons Ring : The Life and Teachings of a Sufi Master, Inter-Religion to name but a few. Professor Askari has taught at several universities including, Osmania, Aligarth, Beirut, Amsterdam, Birmingham (UK) and has been a visiting professor at the universities of Antwerp and Denver. He was also the Louise Iliff Visiting Professor at the Iliff School of Theology in Denver. Professor Askari’s international reputation rests on his vast experience as both consultant and participant at several international conferences and seminars on inter-religious dialogue: Ajoultoon 1970, Broummana 1972, Colombo 1974, London 1974, Bellagio 1976, Freiburg 1976, Beirut 1977, Hamburg 1982, Hanover 1984, The Hague 1985, Hartford 1982, Philadelphia 1986, Amsterdam 1990. Professor Askari has been the first Muslim to address the Conference of European Bishops (Vienna 1985), and the International Council of Jews and Christians (Salamanca 1986). He has also given special lectures at several universities – Tehran, Frankfurt, Heidelberg, Nainz, Gottinghem, Rome, Utrecht, Leiden, Aberdeen, Oxford, Cambridge, Harvard, Uppsala and Stockholm. Committed to co-presence and dialogue between diverse forms of spirituality, Professor Askari emphasises the urgent need to revive the discourse on soul and promoting Spiritual Humanism as an alternative ideology. Selections from The Orations of Imam Ali ibn Talib, Hyderabad, 1965 (Urdu). Foundations of Applied Sociology, Allahbad, 1968. Society and State in Islam, Delhi, 1977. Reflections of the Awakened, Cambridge 1984. The Experience of Religious Diversity (Co-Editor with John Hick), 1984. Spiritual Quest: An Inter-Religious Dimension, 1991. Towards a Spiritual Humanism (with Jon Avery), 1991. Seers and Sages (with David Bowen), 1991. Alone to Alone : From Awareness to Vision, 1991. Contemplation of Essence (Plotinus in Urdu), 1992. Solomon’s Rings – Biography of a Sufi Master, 1997. The Upanishads (an abridged translation to Urdu), 2007.